Obituary for Anthony C. Diana | Scala and Roefaro Funeral Home, Inc.
Mr. Anthony C. Diana age 81, passed away after a prolonged illness on Friday, October 12th, 2018. At the time of his passing at St. Luke’s Hospital, he was surrounded with the love of his family by his side. Born in Utica NY on September 27, 1937, a son of the late Anthony “Dago” and Frances (Bello) Diana. He was educated locally and was a graduate of T.R. Proctor High School. Anthony was also a graduate of Utica College of Syracuse University with a degree in Electrical Engineering. He worked for over 30 years at R.A.D.C. at Griffiss Air Force Base and was a major contributor to Joint STARS, which developed Stealth technology in the 60s and 70s. Anthony was an active member of St. Anthony & St. Agnes Church and a long-standing contributor at the feast of St. Cosmo and St. Damiano. He was also a member of the Knights of St. Johns Commandry #385 and was an avid bridge player where he earned the rank of Grand Life Master at Preswick Glen. Anthony is survived by his Wife of 59 Years Maria B. Diana; a daughter and son in- law Melanie and Frank Calo of Syracuse; a son Anthony and Michelle Diana of FL. ; his beloved grandchildren Mike Moschetti, Frank and Nicholas Calo and Kara and Tyler Kamide; his siblings Mary Rose Diana, Geri and Phil Restifo and Fran and Josie Diana. He also leaves many loving nieces, nephews, cousins and friends including, Linda and Floyd Arnold, Joanne Yacco, Ralph & Elaine Polito , Joe and Elaine Madia, Sandy and Tony Schowa , Lina and Angelo Manoiero and Michael and Joseph Diana. Visitation will be held on Tuesday from 5-7 pm at The Scala & Roefaro Funeral Home Inc. 1122 Culver Ave, Utica. His Mass of Christian Burial will be held on Wednesday morning at 11:00 am in St. Anthony & St. Agnes Church. 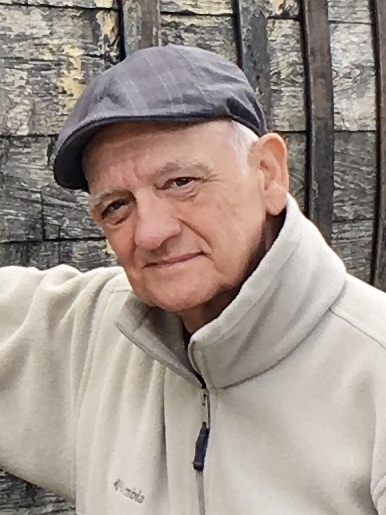 Private entombment will take place in Calvary Cemetery at the convenience of the family.The family would like thank Dr. Sultana Razia and the Slocum Dickson Medical Staff, for the care that they provided to Anthony.